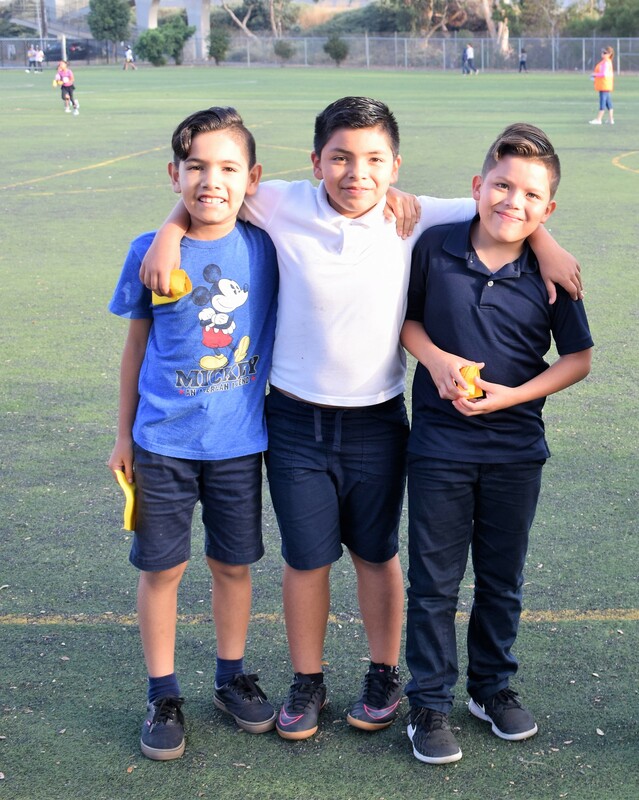 SAN YSIDRO – Energetic rhythms fill the air weekday mornings at Willow Elementary as more than 100 TK-6th graders, joined by their older siblings, moms, dads and even a few abuelitas, gather to walk or run laps around the school’s soccer and kickball fields. Members of Willow’s new Walking Club carry bright-yellow cards as they dash around the fields behind the school for about 30 minutes. Willow staff stamp the cards for each lap a student completes. 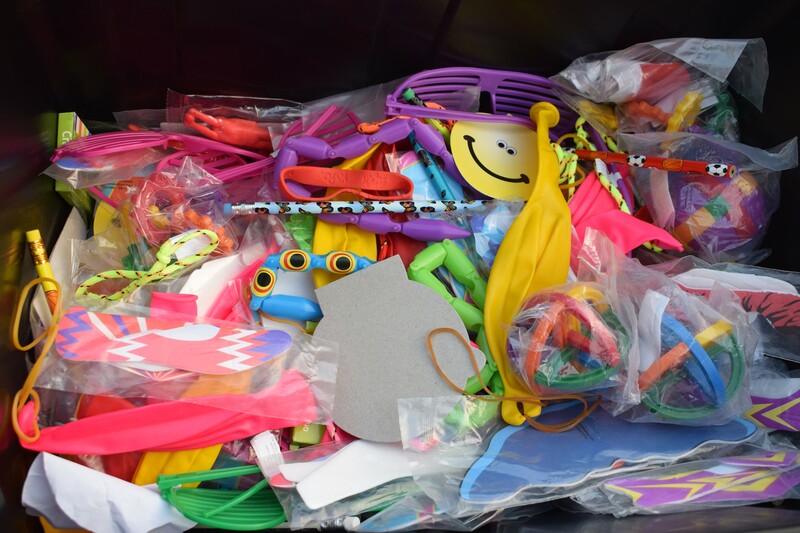 Once a student walks a mile – the equivalent of five laps around the fields – they pick a prize from the treasure chest, such as a pencil, bracelet or ball. A student can also choose to cash in their miles for “Willow Bucks,” the only currency accepted at the school’s new student store, which features prizes in a range of prices. Walking Club members originally cruised around the soccer fields at Willow, but after a sharp increase in attendees left the club’s original path congested, the lap perimeter was expanded to include the kickball fields. 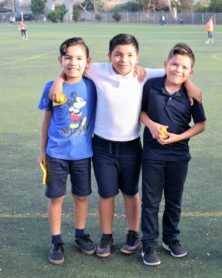 Willow parent Carmen García joined Willow’s Walking Club with her two children, sixth-grader Oscar and first-grader Elena. “I wanted to get involved in an activity with my children, and the Walking Club allows our family to learn the disciplines of a healthy lifestyle, such as getting exercise and eating right,” she said. Inspired by the success of the Walking Club, Bojorquez said he would like to see Willow introduce additional before-school activities such as open computer lab time for technology-minded students and placing easels around campus for Willow’s artistic students. The Walking Club meets at 7:35 a.m. Monday through Friday. California School News Report is a service promoting media coverage of events, programs and services in California schools — creating a coordinated pipeline of school news that is timely, diverse and thorough. To receive our weekly e-Newsletter, subscribe below.